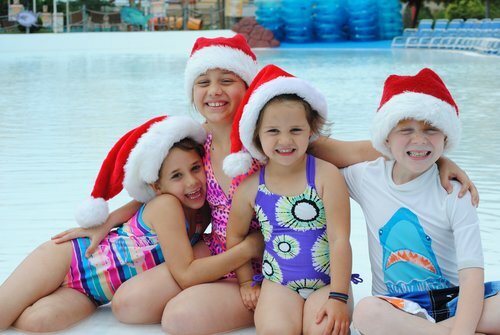 Happy Holidays from Hawaiian Falls! Get kids involved in preparing for the holidays. Have a family craft day; make decorations to put around the house or ornaments to hang on the tree. When baking holiday cookies, let them help. Have kids decorate a few special cookies for Santa to eat on Christmas Eve. Finding ways to entertain kids is not just a dilemma for Christmas Break, the three months over summer can be difficult to fill with fun activities – unless you have a Hawaiian Falls Season Pass! Buying your season pass early is the best way to guarantee unlimited summer fun for the best price. Through December 31st, season passes are $69.99 plus taxes and fees. Season pass holders get awesome perks like early park entry, coupons, exclusive hours and more! It’s never too early to start planning for summer, click here for more details. If you’re still looking for the perfect gift, we are excited to announce the recent addition of Gift Cards to our online store. They are new for 2018 and can be used at any Hawaiian Falls location. Through the end of December, get a free $10 gift card for every $50 in gift cards purchased. From the staff at Hawaiian Falls, we wish you and your family a great holiday season!